Trying to think of what to do to advance your career but are stuck in a rut? If you are, then why not try using services of a career management agency? When it comes to that, we believe that Perpetual Career Management “perpetualcareermanagement.com” are the people to approach to find your perfect career. Career management agencies provide a number of resources, services, techniques and tools that you can use to improve your career prospects. One crucial service an agency of this type has to offer is connecting different prospective employees with the right employers. Think about models, athletes or actors. They all have a management agent who helps fast forward their careers, find them beneficial deals, and promote them to professional levels. Career management agents provide similar services for people in different industries. – Professional resume and CV compilation. 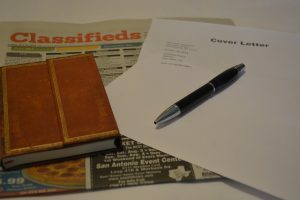 A CV is one of the things that will be considered when applying for a job and, therefore, needs to be professional if you are to land that dream job. A poorly compiled CV will only hold you back. – Interview coaching solutions designed to school you on how to act face-to-face meeting with prospective employers. – Evaluation and assessment of current job skills and things you can do to focus and enhance your expertise to suit your dream job’s requirements. – Helping understand your own professional aims and goals when it comes to your career. – Helping you see where your current path will take you career-wise and if there are alternatives available. – Sending out CVs to multiple potential employers allowing applicants to get as many job opportunities and interviews as possible to choose from. – Negotiating on your behalf allowing you to get the best value from job opportunities. – Helping you tailor and understands that most ideal employment contract with a prospective employer. – Finding and placing you with the best and most suitable job available. – Does the agency have good knowledge of the industry you are interested in or working for and can they help you secure a job in the specific industry? – If you wouldn’t mind relocating internationally, nationally, or even locally, can the agency provide you comprehensive services that will help you get a reliable job, school, home and take care of various career move related logistics? – Can the agency provide you a networking solution that will allow you to create meaningful relations with contacts within the career you are in? After all, it’s not what you know or can do but who you know that sometimes makes the biggest difference in most industries. – Does the agency provide a range of payroll and HR services if you’re looking for short-term or temporary work assignments? – Do they have a website through which you can search and apply for a job online and even update your CV and skills as you achieve different career milestones or goals? – Does the agency provide headhunting services through which prospective companies can access your portfolio or profile to establish if you meet their requirements for specific positions? – Are they willing to provide you with ongoing services throughout your career? Just because you’ve been placed with an employer that should not mean that their services end there. The cost of using an agency’s services is another important thing to consider when searching for one. How much they’ll require you to pay is largely dependent on the solutions and services you want, the profession you are in, and the expertise the agency can offer. Most management agents will often charge clients a small fee to facilitate their placement and recruitment. The fees are normally charged in the form of a percentage deducted from the salary package provided by an employer and will only be effective once you’ve landed the job. Giving your career the kind of focus, attention, and care a career management agency provides could mean the difference between being stuck in a line of work with no future prospects or fulfilling your professional dreams fast and effectively.